The 16th arrondissement, on the western edge of the city on the right bank, has the reputation of being particularly chic. It is home to many embassies, as well as some iconic avenues (Foch, Victor Hugo, Iéna), and monuments, including the Arc de Triomphe. This beautiful arrondissement has plenty to explore! The Passy neighborhood is the best place to shop in the 16th arrondissement. This charming quartier has all kinds of shops and restaurants. The neighborhood is also visually beautiful and classically Parisian, so it’s really worth a visit! Palais de Tokyo is Paris’s contemporary art museum. They regularly hold events and new exhibitions. There is also a chic restaurant, Monsieur Bleu, on the premises. Musée Marmottan Monet is a must-see for fans of impressionism. It has a large number of impressionist paintings in the permanent collection, including many by Monet, and regularly holds temporary exhibitions featuring different impressionist artists. Fondation Louis Vuitton is one of the city’s most recent cultural institutions, opened in 2014. Its unique architecture was designed by Frank Gehry, and the foundation is home to a large collection of contemporary art. For some typical French cuisine in a classic setting, check out the Mathusalem. Their menu includes such French bistro staples as salade de gésiers, steak tartare, and nougat glacé. Auteuil Brasserie is hybrid space, open since 2015, occupying a former train station. It includes a terrasse, a restaurant, a bar, and a rooftop space, and serves up Italian fare. Pascal le Glacier is considered one of the best ice cream makers in the city. Stop by to try one (or more!) of the 50 or so flavors they make in-house. 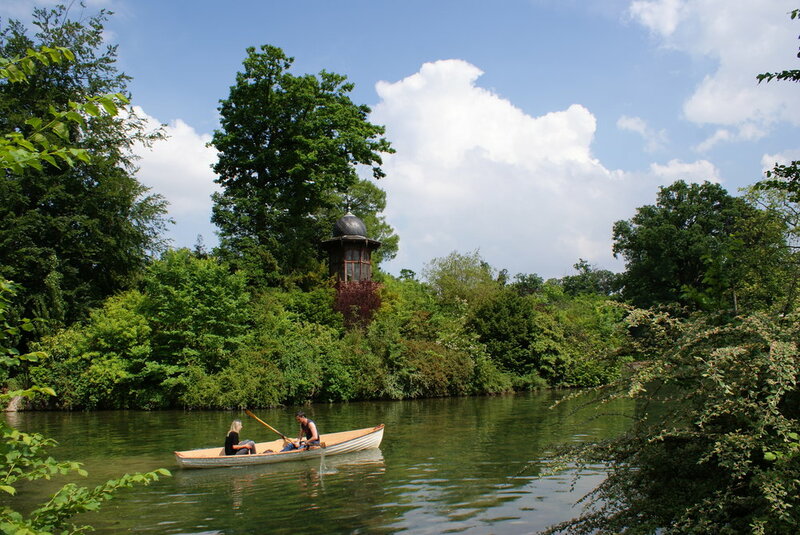 Bois de Boulogne is one of the two largest parks in Paris. It’s the perfect spot for a stroll, a run, or a bike ride. You can also rent a rowboat and take a spin around the lake! Parc des Princes is one of the city’s major stadiums. It’s home base to the Paris Saint Germain soccer team, so you can catch one of their matches here!